...from a Google search. If I had to make generalization about them , I'd say they all seem like 'salt of the earth' type guys. Not a Gore Vidal in the bunch. 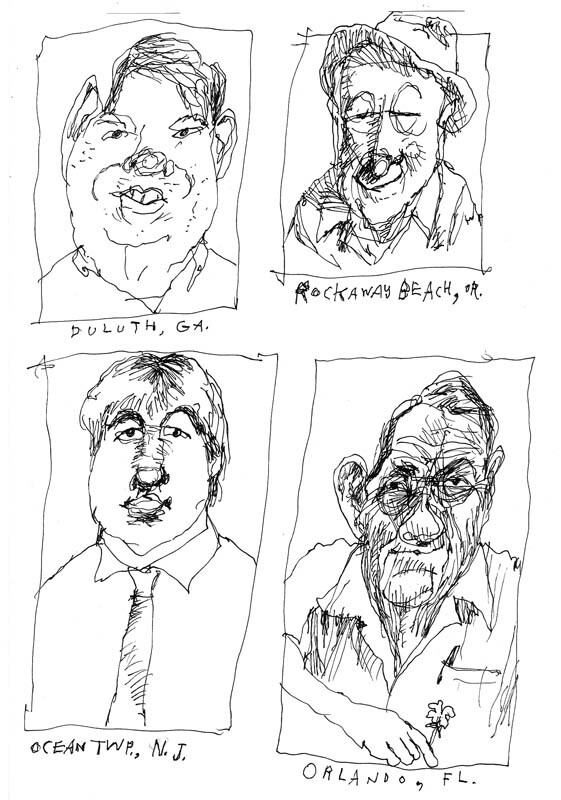 The upper left Walt Taylor bears an uncomfortable resemblance to Tom DeLay, at least in this drawing. For the record, I found no other Wally Tortas or Sparky Donatellos, for which we can all breathe a sigh of relief. June 16, 2006 by Walt Taylor.